Even better than a box of chocolates, Pocket Books’ annual romance audiobook sweepstakes runs throughout the entire month of February. 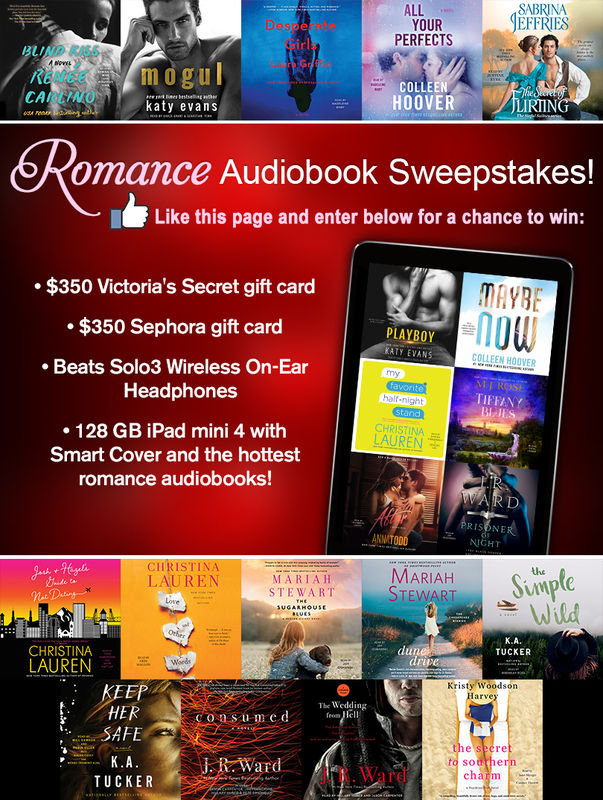 Readers can enter to win fabulous prizes like a $350 gift card to Victoria’s Secret, $350 gift card to Sephora, Beats Solo3 Wireless On-Ear Headphones, 128 GB iPad mini 4 with a Smart Cover, and 20 recently published romance audiobooks including Sabrina’s most recent release, The Secret of Flirting. Enter to win! 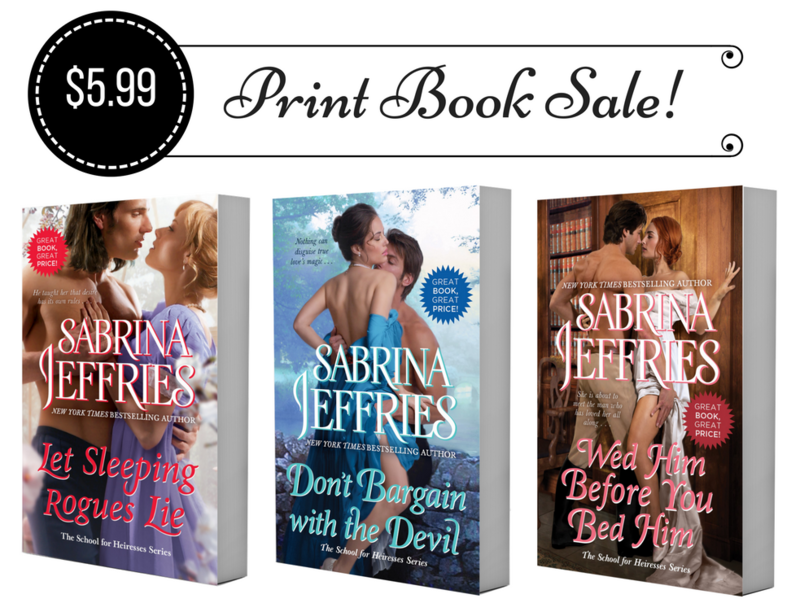 Sabrina will attend the Romance Writers of America convention in Orlando, FL this summer, where she’ll sign books at the “Readers for Life” Literacy Autographing on Saturday, July 29 from 3:00 p.m. – 5:00 p.m. THE PLEASURES OF PASSION now in audiobook! On February 11, romance authors and readers will meet in Charlotte, NC for the “When the Heart Dreams” Romance Readers & Writers Weekend Mixer. 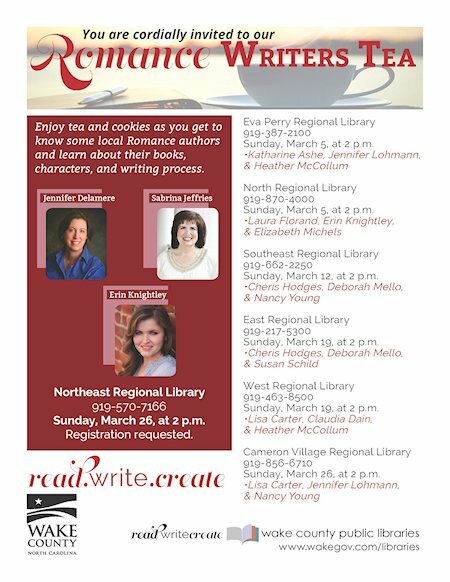 Sabrina is a featured keynote speakers at this fun-filled event featuring great music, food, entertainment, and discussions about reading and writing romance. Attendees will enjoy the Queen Author’s Luncheon, where readers can meet and eat with their favorite authors, and the “All That Jazz” book signing event. Register today for this all-day event in the beautiful city of Charlotte. THE PIRATE LORD SAILS AGAIN! 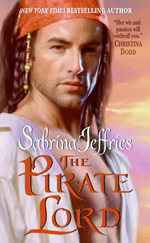 BookRiot.com recently named Sabrina’s 1998 novel The Pirate Lord as one of their Top 100 Must-Read Romantic Comedies! To read the full list, visit http://bookriot.com/2016/10/21/100-must-read-romantic-comedies/.